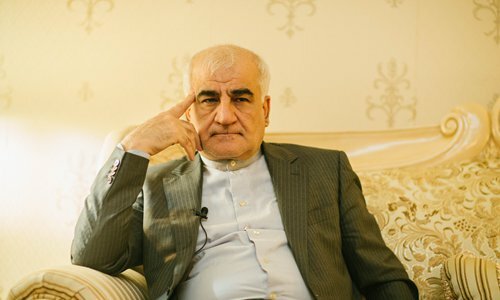 Ahead of celebrations, Global Times (GT) reporter Yao Lijuan sat down for an interview with Iranian Ambassador to China Mohammad Keshavarz-Zadeh (Keshavarz-Zadeh)to discuss the Revolution, its relations with the US, the Iranian nuclear deal as well as China-Iran relations. Keshavarz-Zadeh: We will celebrate our national holiday on February 11. Our most important achievement in the past 40 years has been gaining independence which was chosen by our people. The US is pursuing unilateralism and "America First" policy. Since Iran signed the nuclear deal (in 2015), everything it promised has been done. Inspections show that Iran has never failed to comply with the agreement. Therefore, the US was just giving an excuse for its unilateral withdrawal from the nuclear agreement. Keshavarz-Zadeh: European countries know what they are doing and how to deal with the US. They can protect themselves. I am thinking about taking steps to attract Chinese tourists, such as providing tour guides who speak Chinese, and tailoring services according to Chinese people's habits. Keshavarz-Zadeh: China is an important balancing power. The country has made many contributions to maintaining the balance and stability of the Asian region. China can keep doing it, and deserves a heartfelt gratitude from the international community. As a permanent member of the UN Security Council, China has brought peace to the Middle East and the world.